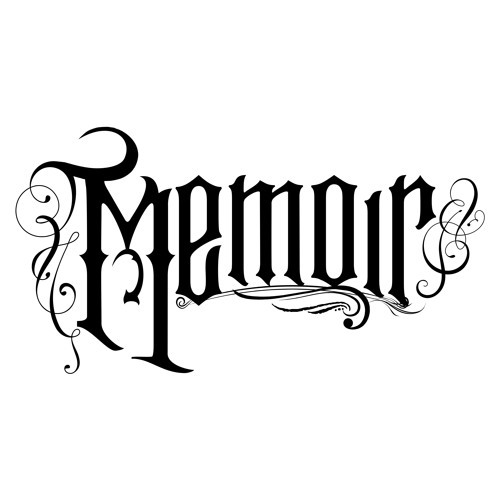 Memoir is a “powerhouse” songwriting team, comprised of lead singer and lyricist Dena Deadly, music producer, Zed Kelley. The crew could not come from more diametric backgrounds (Zed, growing up in Anchorage, AK, Dena, in Hollywood, CA, and Remy, in the bay area), but somehow this musical pairing makes perfect sense. After meeting in a recording studio, in Hollywood, Zed & Dena were married and began writing & composing music for their own production and publishing company, “Deadly Love Music”. Dena's brother, Remy, joined the team about 4 years back and they formed Memoir. Through their collaborations on many hits songs for artists, such as Cee-Lo Greene, Will-I-AM, Groove Armada, Nick Jonas, Jack Splash, Angie Stone, Esthero, Scott Storch, Warren G, Method Man & Pitbull, to name a few, hit-makers, Dena and Zed, soon realized their powerful potential in joining forces. Upon contributing their multi talents to illustrious vocal and hip-hop stars, they began writing songs and composing music for television and feature films, including "Bad Moms," "Empire," "The Lying Game," “The Fosters,” "Make it or Break it," "Shake it Up,” "The Good Fight,", "Failure to Launch," "Warrior," "Playing for Keeps" and the theme song for “Vanderpump Rules" and "Summer House.” Memoir offers a kaleidoscope of musical influences ranging from soul, funk, rock, and hip-hop, to blues, and even drawing from the heart-wrenching, bittersweet beauty of old spirituals. Memoir’s first full length album, "Fire In Me," was released in the spring of 2014 and has been featured in dozens of online music blogs. Many songs from the album have been and continue to be featured in several TV shows and played all over college radio. Most notably, KCRW featured their first single, "Los Angeles" in their “Top Tune Of The Day” segment. Memoir has been #1 across several college markets and their single "Los Angeles", rose to the top of Hype Machine, and has over 100,000 plays on soundcloud. Their tour for the album took them all the way across the country and back and landed them performances at both SXSW and CMJ. That record was followed up with an EP, dubbed "Electric Soul." Shortly after releasing this EP, they were invited to play live on Andy Cohen's show, "Watch What Happens Live," where they performed their Vanderpump Rules theme song, "Raise Your Glass." Memoir's newest release, "Manifesto," includes "Castles In The Sky" (a warning letter to the "1%ers") and "#SayHerName" (a song written for Wakiesha Wilson, after she was murdered by the LAPD, March 27th, 2016). The record that will follow, is set to release in the summer of 2017.